“The secret of good teaching is to regard the child’s intelligence as a fertile field in which seeds may be sown, to grow under the heat of flaming imagination”. 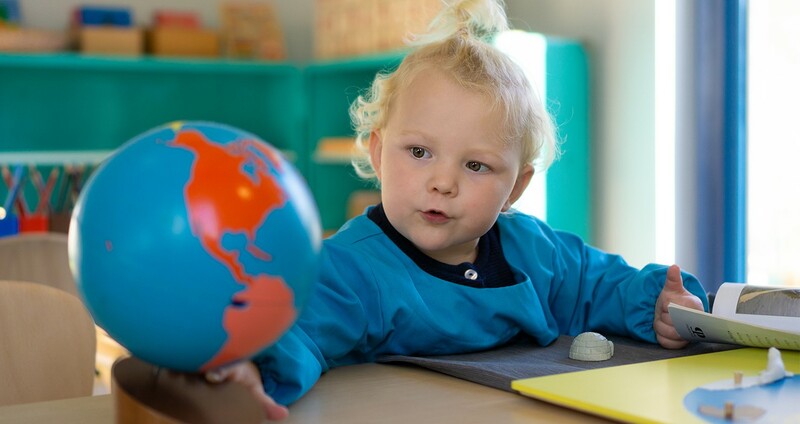 At Rocks Lane Montessori, we take great pride in following the teaching practice of Dr. Maria Montessori. We have a library for parents to borrow Montessori’s books, as well as open evenings where we explain her teaching equipment and approach. Montessori has become a household name, but it is a joy to understand who Maria Montessori herself really was, what she achieved and why we and so many others choose to educate our children in her name. Born in Italy in 1870, Montessori was the first female doctor in Italy; her scientific and medical understanding inspired her educational philosophy, and underpins the incredible power of her materials in the classroom. She developed a radically new system of understanding and nurturing children and a global schools movement, for which she was nominated for 4 Nobel Prizes. She was all of this, and so much more. In a time when children were ‘seen but not heard’, when education was structured around children sitting still and quiet to be filled with teacher’s knowledge, she advocated passionately that we, as teachers, should in fact “follow the child”, and teach based on a core respect for each child’s innate potential. She articulated a child’s needs, their sensitivities and tendencies; she explained their disposition to movement, language, socialization and the senses at each age and stage. By designing materials, the space, and teaching practice around a deep understanding of child development, learning became led by the child, and became a joy. Freedom within limits: Montessori gives children the freedom of choice and movement in a structured environment, to pursue their own interests, at their own pace. Favourable environment: Every aspect of the Montessori classroom is consciously designed, with materials inviting activity. Furniture and equipment is accessible and child-sized, with beautiful activities each having their place on open shelves. Materials: Montessori materials are enticing to a child. Each piece of material has a specific purpose, and is part of a sequence to scaffold a child’s progress and learning. Materials are interconnected, with practical life activities, for example, scaffolding a child to be able to learn to read and write. They are auto-didactic, or self-teaching, and are presented in a way that will quickly enable children to direct their own learning. Children have the time and freedom to concentrate on the activity they have chosen, with self-esteem gained from mastery. Montessori teachers: Teachers are not the focus of the classroom’s attention; they observe, facilitate, and then stand back as children work independently. Personal qualities of Montessori teachers are to be loving, kind, fun, non-judgmental and supportive; they bond with children and are motivated by their happiness and self-esteem. Teachers are passionate about children, pride themselves in their work, and are always available to parents. Holistic development: Montessori ensures the holistic development of each child: physical, social, emotional, linguistic, creative and intellectual. Our systems track progress against an individual learning plan across the whole learning environment. Montessori classrooms are characterized by a calmness, with children focussed and absorbed in the environment. Visiting us, you will see many kinds of learning, from spontaneous activity chosen by the child, one-to-one and group teaching, a group of children working together, or free play. Children each have a learning plan based on their age and stage of development in each area, extending across all curriculum areas. The approach nurtures confidence and independence, and children have an endless appetite for the new activities on offer, and a curiosity about the environment around them. Montessori, in summary, is a specific learning philosophy that we follow closely out of our belief that it unlocks a child’s joy for learning. Children return home asking questions about the world, singing new songs, telling new stories, doing simple mathematics when they see the numbers of peas on their plate!, and piling books under their pillows at night. We are so proud to be a Montessori school.